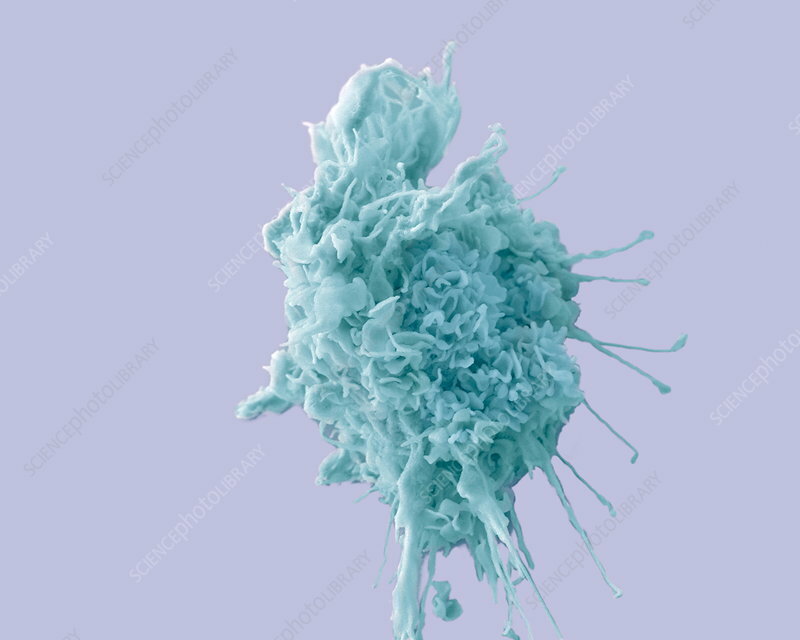 Dendritic cell, coloured scanning electron micrograph (SEM). Dendritic cells are a component of the body's immune system. They are derived from a type of white blood cell called a monocyte. The cell gets it name from the long membrane extensions off the cell body, which look like the dendrites of a nerve cell. Dendritic cells are antigen-presenting cells (APCs), that is, they present pathogens or foreign molecules (antigens) to other cells of the immune system to be eliminated. Magnification: x2100 when printed 10cm wide.